This battery is a standard fit on many Jet skis and Quad Bikes where vibration resistance is appreciated. Sealed construction and small size enable mounting in many locations including footwells. This battery is ideal for Track Cars with engine sizes up to 2.0 litre. Pure Lead Maintenance free Drycell battery featuring TPT (thin plate technology ) Again, the construction concept was originally developed for military aircraft requiring very high power delivery for short durations achieved through the use of extremely thin plates. Exceptionally good anti-vibration properties with fast recharge capability and recovery from heavy discharge. Can be mounted upright or flat. Design life of 8-10 years. This battery is a standard fit on many Jet skis and Quad Bikes where vibration resistance is appreciated. Sealed construction and small size enable mounting in many locations including footwells. 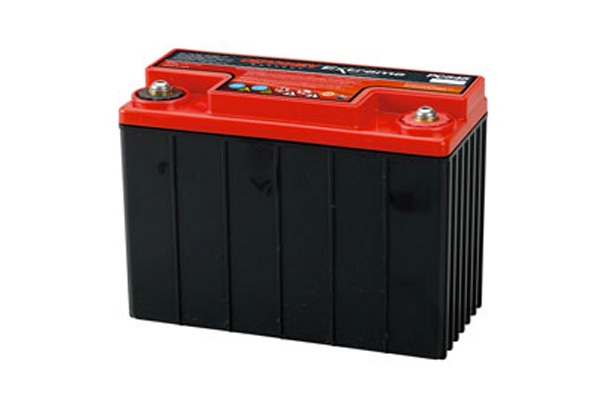 This battery is ideal for track and race cars with engine sizes up to 2.0 litre.